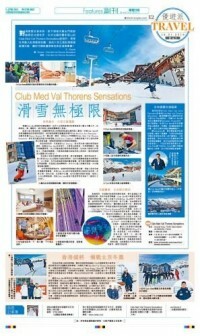 Val Thorens, showcase of France for Chinese skiers? 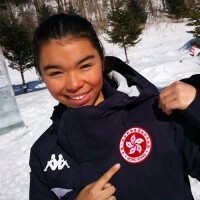 Until 16 December, Val Thorens welcomes junior athletes from the Hong Kong and China Ski Team. 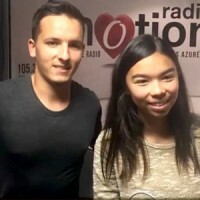 Traces Magazine (#115) - Une future star hongkongaise révélée par l’ESF ? 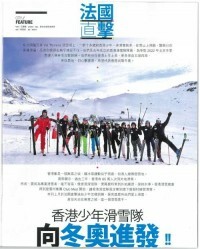 Traces Magazine (#115) - Une future star hongkongaise révélée par l’ESF ? 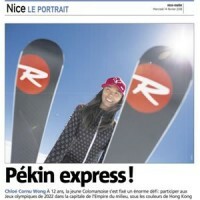 APM Monaco Magazine 12 September 2018 Chloe Cornu Wong made it to the APM News International Magazine #12 for the September 2018 issue.